Why should you choose us to sell your Wichita-area home using the Gold Standard? Nothing is worse than listing your home and then hearing nothing. Crickets. Madrigal Team Gold has processes in place that keep you in the know and feeling good that your home is being marketed and seen. Many realtors use a strategy of below market or discount pricing to move homes. When you hear promises of selling your home within days, you bet they’re using discount pricing. Team Madrigal understands your home is your hard-earned money! We aim to get the top dollar for your home, and we know how to do it. You’ll never see us caving into a buyer’s low-bid offers for a quick sale. Prior to listing, Madrigal Team Gold runs your home through a proprietary Selling Checklist. Almost no Realtor does this. That can be a problem because many buying cues are subconscious. Buyers are both logical and emotional. We run the home through this short but meaningful checklist to make sure the cues are checked off. Otherwise, the home may miss a buying offer or may be sold at a price lower than it deserves. In some cases, we’ll bring in our broader team, including interior designers, roofers, handymen, landscape architects… just about anyone necessary to get both top dollar and sales velocity. Team Madrigal can hit it hard and fast. Selling a premium, upscale home? We’ll employ proprietary strategies to support the price point before buyer negotiations begin. Of course, the time to begin these strategies is before the home is listed. Some Realtors can’t deal with the pressure of price negotiations and instead pass that stress and responsibility onto the seller. That won’t happen with Madrigal Team Gold. We use price and non-price opportunities to protect the selling value. Our clients receive exact recommendations to approve, rather than having to create the negotiation response. The negotiation phase is where Realtors prove their worth. We have the winning strategies to protect selling value while keeping the buyer hooked, too. Selling your home is one of life’s most intense activities. There are many unknowns. If there’s one thing that can be controlled during the sale of the home, it’s the quality of the relationship between the agent and client. Madrigal Team Gold’s core belief is that coming out of the transaction, we’re all friends who can look back, laugh and enjoy pizza together. 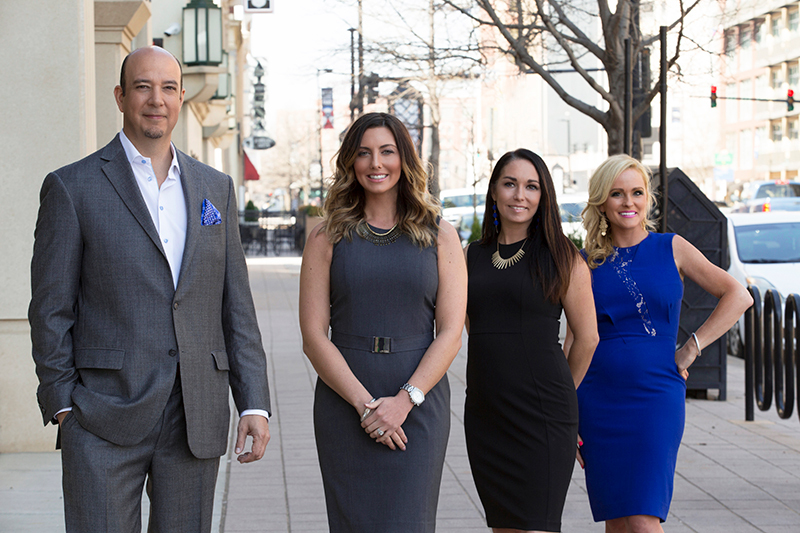 For most clients, Madrigal Team Gold is their lasting, one-and-only real estate team. Contact us today to discover the Madrigal Team Gold Difference for yourself.